Sergio Gonella, the first Italian football referee to take charge of a World Cup final, was born on this day in 1933 in Asti, a city in Piedmont best known for its wine production. 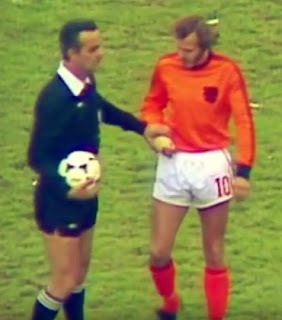 Gonella was appointed to officiate in the 1978 final between the Netherlands and the hosts Argentina in Buenos Aires and although he was criticised by many journalists and football historians for what they perceived as a weak performance lacking authority, few matches in the history of the competition can have presented a tougher challenge. Against a backcloth of political turmoil in a country which had suffered a military coup only two years earlier and where opponents of the regime were routinely kidnapped and tortured, or simply disappeared, this was Argentina’s chance to build prestige by winning the biggest sporting event in the world, outside the Olympics. Rumours of subterfuge surrounded most of Argentina’s matches and when the final arrived the atmosphere in the stadium was as intimidating as anything Gonella would have experienced in his whole 13-year professional career. The match began with an unprecedented delay, caused first by the Argentine team’s deliberate late arrival on the field, an arrogant tactic designed to unsettle the brilliantly talented Dutch team, and then by the Argentine captain, Daniel Passarella, objecting to the plaster cast on the arm of Dutch defender René van de Kerkhof. Van de Kerkhof had worn the cast all through the tournament with no complaints but Passarella said it was potentially dangerous and Gonella ordered that it be removed, at which the Dutch players threatened to walk off en masse. Eventually a compromise was reached whereby Van de Kerkhof taped some foam rubber over the top of the cast. The match eventually kicked off nine minutes later than scheduled. Once play began the tackles flew in, with neither sign showing much restraint, and Gonella was never really in control. What’s more, in the partisan atmosphere, he appeared almost always gave the benefit of any doubt to Argentina, who ran out 3-1 winners after extra time. Years later he defended his performance, answering accusations that he was party to some sort of conspiracy to ensure that Argentina won by pointing out that with the scores at 1-1 and only seconds remaining of the 90 minutes, Rob Rensenbrink of the Netherlands rolled a shot against a post and Argentina were therefore only millimetres away from losing the game. Gonella, a banker by profession, began to officiate in Serie A matches in 1965 at the age of 32, immediately identifying himself as a no-nonsense arbiter by awarding seven penalties in his first seven matches. He was generally seen as an impartial disciplinarian and had been a referee at the top level in domestic football for only seven seasons when he was given his first major international assignment, in charge of the final of the European Under-21 championships. In 1976 he was the man with the whistle in the senior European championship final between Czechoslovakia and West Germany in Belgrade and when he was given the 1978 World Cup final he became one of only two men to take charge of both these prestigious matches. 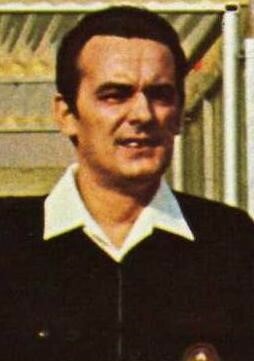 In domestic football he won the Giovanni Mauro prize for the season’s best referee in Italian football in 1972 and in 1974 he officiated in the Coppa Italia final between Bologna and Palermo. He quit refereeing after the 1978 final. Referees were part time in that era and Gonella said he wished to have the opportunity to take his summer holidays with his family rather than with a whistle round his neck at a football tournament. He had officiated in 175 Serie A matches. 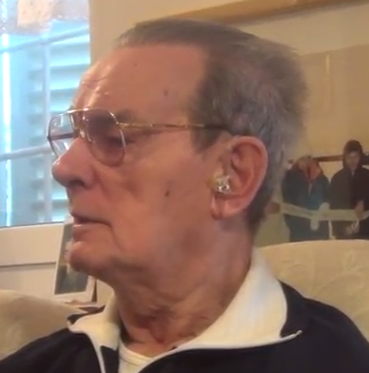 Gonella remained in football, however, as a designator of match referees in Serie A and was president of the Italian Referees’ Association from 1998 until 2000. For a while during his career he lived in La Spezia before returning to Asti province, specifically the village of Calliano, about 14km (nine miles) north-east of the city of Asti and about 45km (28 miles) east of Turin. He was inducted to Italian football’s Hall of Fame in 2013. Two other Italians have refereed the World Cup final – Pierluigi Collina in 2002 and Nicola Rizzoli in 2014. 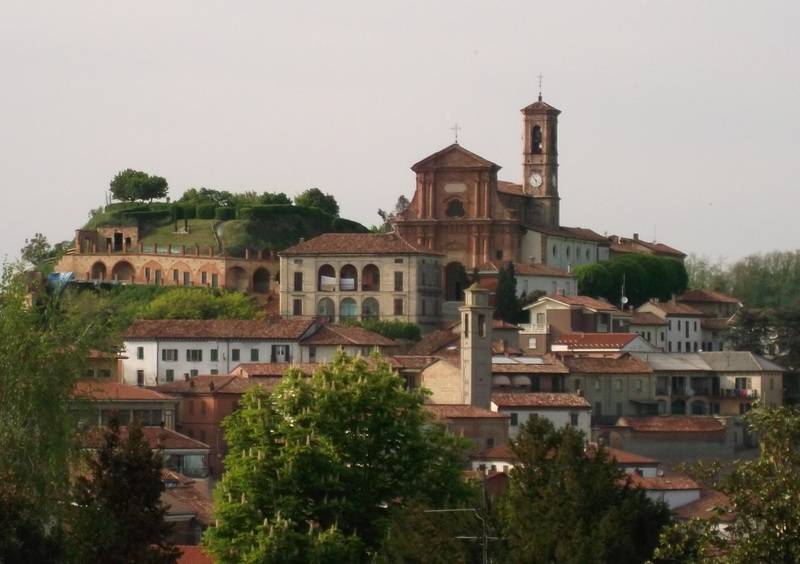 Asti is a city of around 75,000 people situated in the plain of the Tanaro river about 55km (34 miles) east of Turin. Many of his most important historical buildings are from the 12th and 13th centuries, when Asti grew to be the most powerful city in Piedmont when there was a fashion for building towers as symbols of power and prestige, hence Asti acquiring the nickname of the ‘city of 100 towers.’ There were thought to be 120 at one stage, of which several remain, including the Torre dei Comentini and the Torre de Regibus. 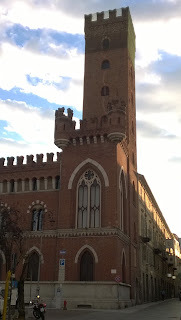 Notable churches include the Romanesque-Gothic Cathedral of Santa Maria Assunta and the Collegiata di San Secondo. Every September the city hosts the Palio di Asti, less famous than the Palio di Siena but the oldest in Italy, now staged in the triangular Piazza Alfieri. Calliano is a pretty village built on a hill between two valleys characterised by a network of streets spiralling down from the church of Santissimo Nome di Maria, right at the very top of the hill and visible from the surrounding area. Calliano is also known for its local pasta dish, agnolotti d’asino – pasta envelopes similar to ravioli, stuffed with donkey meat.